Summer Dental is an affordable Dentist in Oklahoma City. We offer many services including teeth whitening, dental implants, crowns, root canals, wisdom teeth, extractions and so much more! Have a dental emergency and need to be seen on the same day? No problem, walk-ins are always welcome! Open on evenings and weekends for your convenience. Call or text us at (405) 691-3399 to schedule your next appointment! Dr. Colby Broadbent is a Cosmetic Dentist at Summer Dental in Oklahoma City, Oklahoma. He grew up in Salt Lake City, Utah where he attended the University of Utah School of Dentistry. 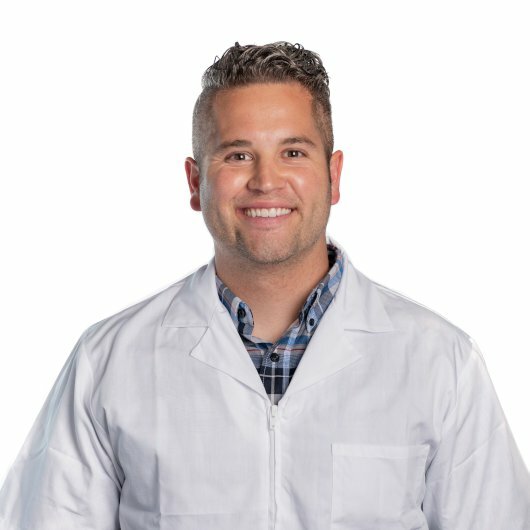 During his time in dental school, he was given unparalleled instruction and hands-on training in implants, oral surgery, full mouth reconstruction, and endodontics. Dr. Colby and his wife Jessica have three children: Graham, Lola and Theodore. They also have a beautiful golden retriever named Millie. He loves to spend time with his family, searching for places for their kids to swim and go boating. 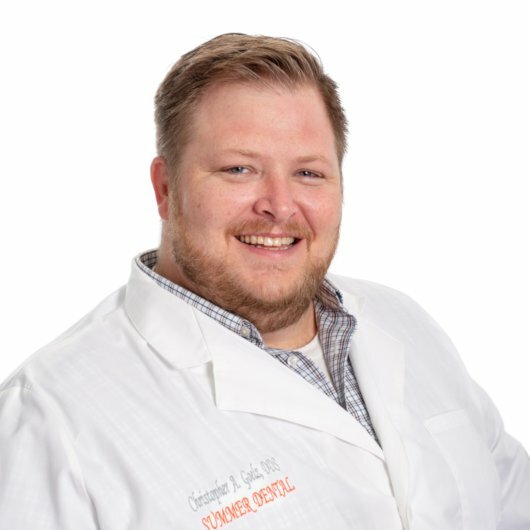 Dr. Christopher Goelz is a Cosmetic Dentist at Summer Dental in Oklahoma City, Oklahoma. He is originally from Purcell, Oklahoma. At the age of nine, his family moved to Texas. He attended Hill Community College in Texas, BYU-Idaho, Southern Utah University, the University of Utah and the University of Oklahoma for his undergraduate career. He graduated from dental school at the University of Oklahoma College of Dentistry and currently resides in Oklahoma. Dr. Goelz is a member of the ODA, ADA and the Academy of LDS Dentists. He loves meeting new people and restoring their smiles! He and his wife have three boys: Coleman, Dominic and Romney. They also have a dog named Tank. He loves playing and wrestling with his boys, reading, playing guitar, writing music and is very involved in his church congregation. Dr. Goelz does a great impression of a goat and isn’t afraid to tell all of his embarrassing stories!